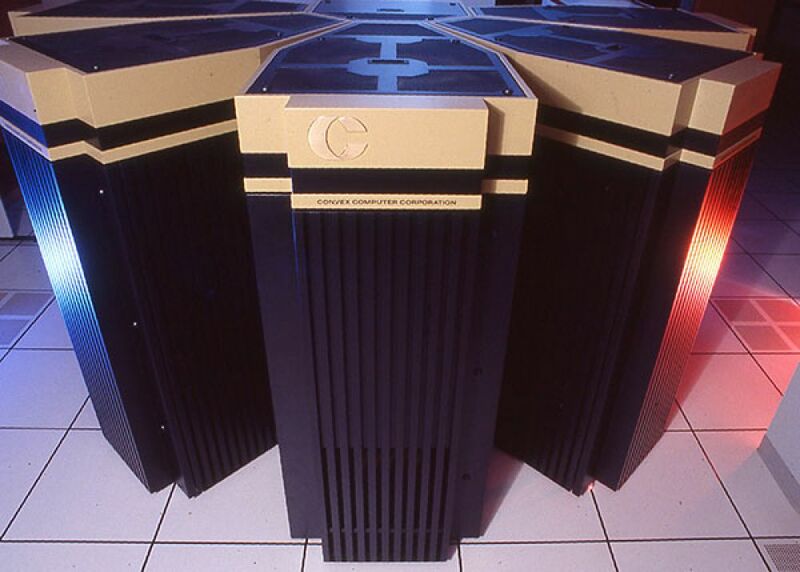 The Convex C3880 was the third generation of Convex vector supercomputers (which started with the Convex C1). 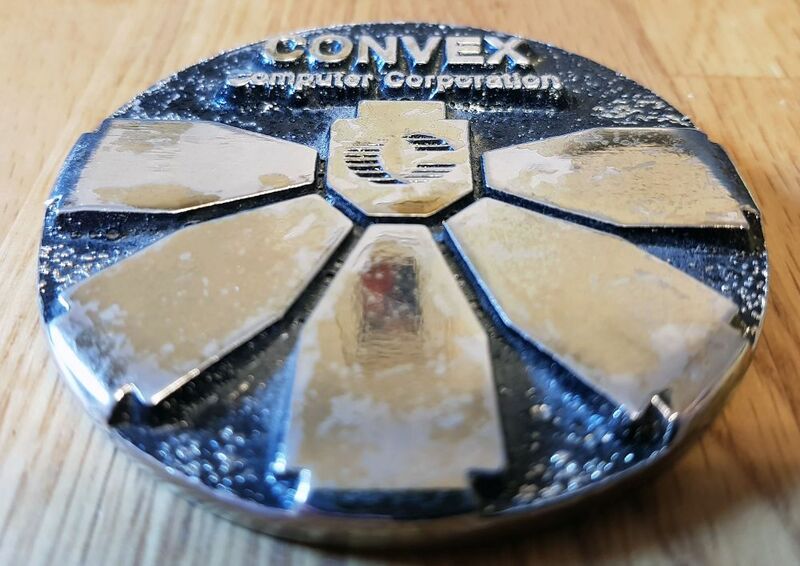 It was the first commercially available computer that used GaAs (Gallium Arsenide) IC's, which Convex developed together with Vitesse Semiconductor. 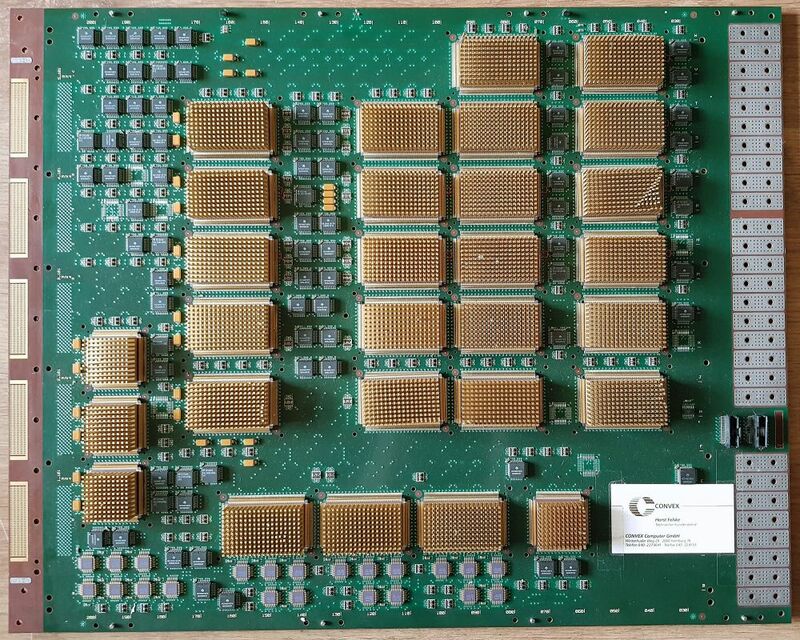 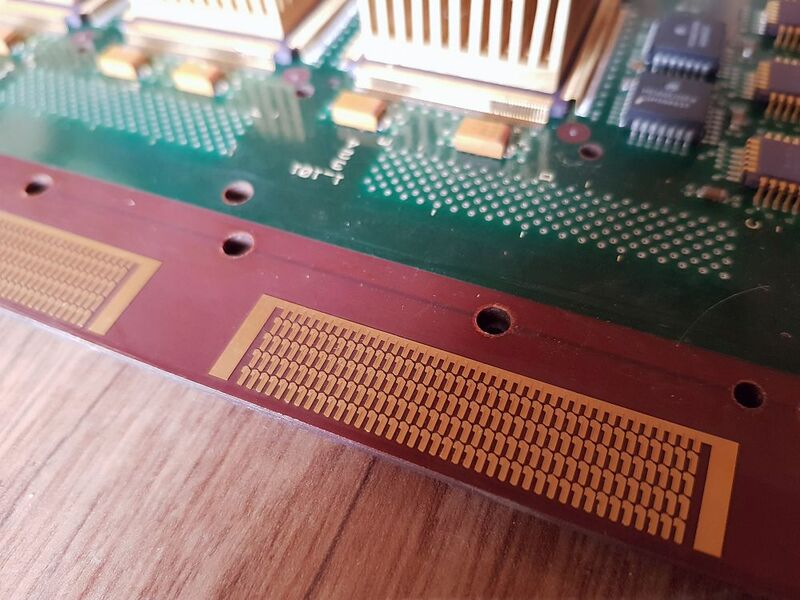 This is one of the two vector boards from one of 8 CPU's. 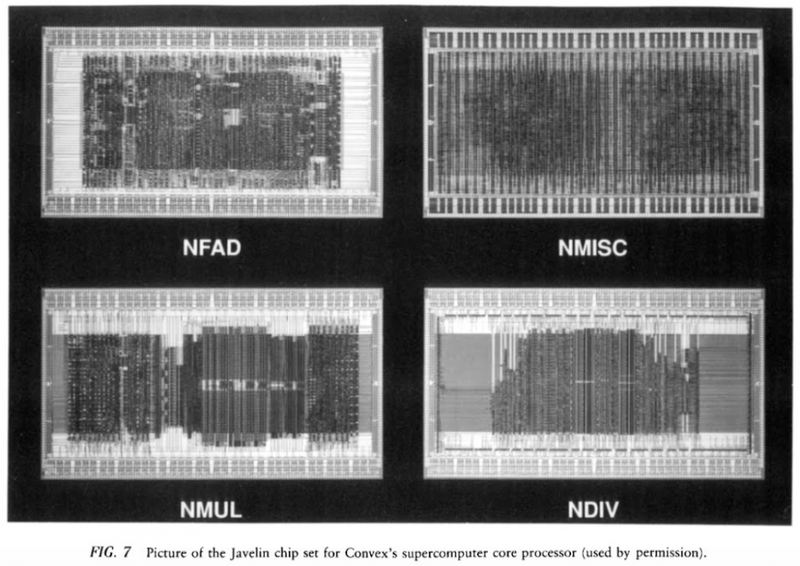 One CPU consisted of two vector boards, two scalar boards, and two memory boards. 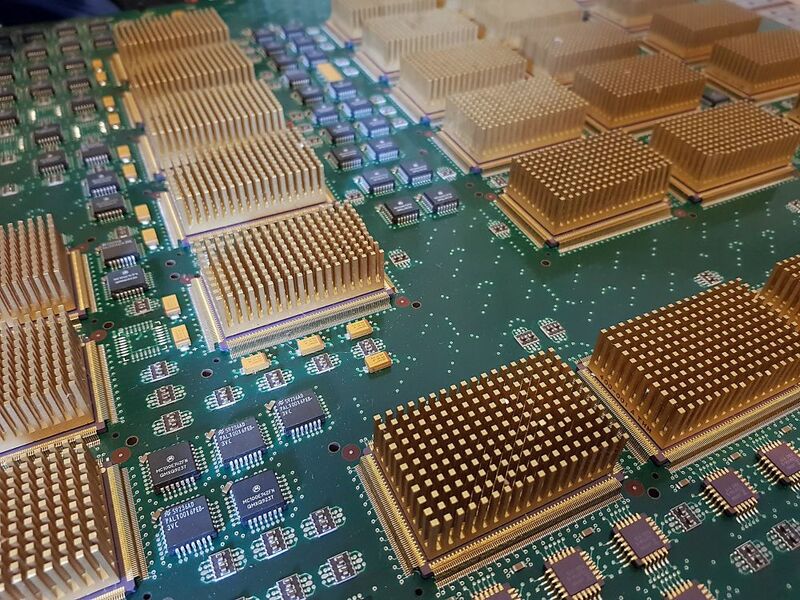 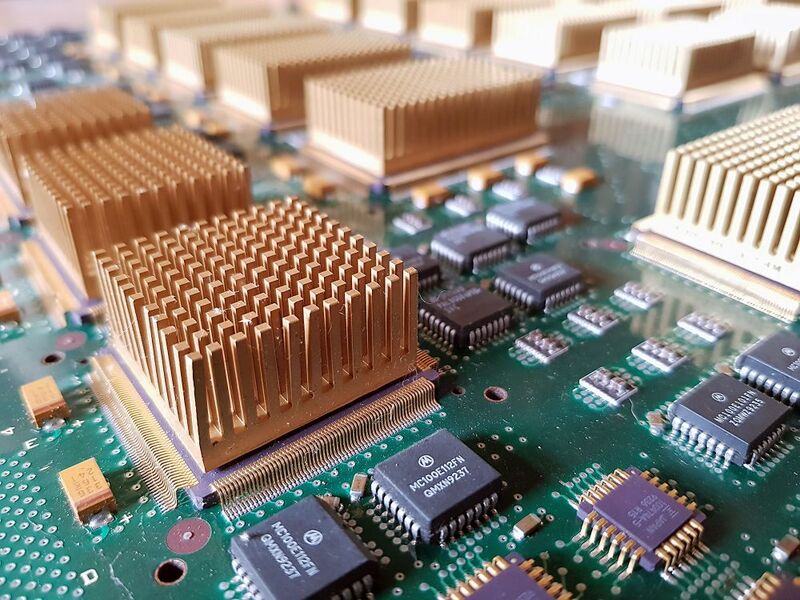 The large ICs with the heatsinks are the Vitesse GaAs ASICs, the smaller IC's Fujitsu 4Kbit GaAs SRAM chips (ceramic), and Motorola ECL logic chips (plastic). 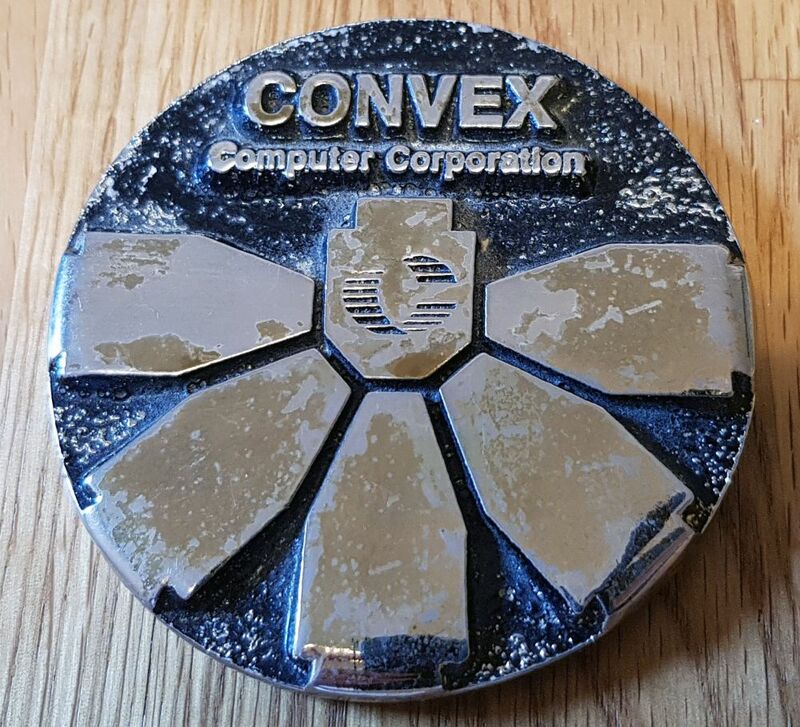 This metal paperweight shows the floorpan of the C3880.